While most people’s attention will be focused on March Madness for the next three weeks, those diehard baseball fans are gearing up for their fantasy drafts and preparing for the opening of the season, which takes place in only three days. Many of the experts are predicting this year’s World Series winner to come from a list of three powerhouse rosters – the Boston Red Sox, New York Yankees and Houston Astros. But we all know that surprise teams emerge, and this year, my feeling is that it will come from the midwestern part of the country. The Cincinnati Reds have been arguably the worst team in baseball over the past six seasons. Long gone are the days of Todd Frazier hitting bombs well out of Great American Ball Park and Aroldis Chapman setting MLB records with the velocity of his fastballs. Instead, it has been years of inconsistent pitching, lackluster lineups, and four consecutive 5th place finishes in the National League Central. While they share part of the blame, it is difficult to completely fault the Reds’ organization for its struggles. The Cardinals, Brewers, and most impressively the 2016 World Series Champion Cubs have stood as formidable opponents to the city of Cincinnati. Realizing their chances of competing were slim, management chose the route of a rebuild. Much to the dismay of the fanbase, the process of pressing the reset button came with trading away some of the franchise’s biggest stars. These included the aforementioned Frazier and Chapman, along with pitching ace Johnny Cueto and right fielder Jay Bruce. While almost none of their returning pieces transformed into spectacular ballplayers, one particular shortstop from the Tigers would become the third base cornerstone of the future. Eugenio Suarez was originally a placeholder in the Detroit batting order for Jose Iglesias, but the Tigers, facing a win now situation, shipped off the 23-year-old for veteran for Alfredo Simon. This 2014 trade was a big win for the Reds. Just now entering the prime of his career, Suarez has hit 20 plus homers each of the past three seasons, earning his first nomination to an All-Star Game in 2018. At almost the same point in 2014, another stud infielder was making waves in the Reds’ farm system. Scooter Gennett was never a top prospect or highly touted player, but his ability to field a multitude of positions well, along with his superb contact-to-strikeout ratio, proved he had tremendous potential. After two strong seasons, similar to Suarez, Gennett also earned his first All-Star Game nod this past year. For those of you who might be familiar with the Reds, you might be wondering what has taken me so long to mention the face of the franchise. Yes, Joey Votto deserves all the credit the state of Ohio has to offer as one of the most underrated players in the game today. Now entering his age 35 season, Votto has logged a whopping 1,575 total games for the Reds since his debut in 2007 (talk about loyalty). The first baseman has endured his fair shares of ups and downs, but never once did he abandon the city of Cincinnati. A six-time all-star and 2010 MVP of the league, Votto has been one of the more consistent hitters out there. While his stats took a blow in 2018, a bolstered lineup could provide protection for the Toronto native. Now you may be saying to yourself, “that’s great Shane, but they’ve had these players for the past few seasons. Joey Votto is another year older, Billy Hamilton has moved on to the Royals, and the team has moved onto its third general manager in the past decade. What could possibly make them any better in 2019?” Well, I’ll tell you. Before the floodgates of MLB free agency officially opened, the Dodgers were already envisioning a lineup with former Nationals’ superstar Bryce Harper playing left field. In preparation for this move, Los Angeles made a conscious effort to clear cap space. With one year left on his contract, Yasiel Puig was sent packing, along with starting pitcher Alex Wood and outfielder Matt Kemp, for Homer Bailey and prospects. The move seemed questionable for Los Angeles, as Puig was just now entering his prime. His replacement AJ Pollock (not Harper) demanded a larger salary with an injury riddled past. But we all know in a division as weak as the NL West, the Dodgers will still make playoffs. So what implications does this have for the Reds? On Bleacher Report’s list of “Ranking MLB’s Most Hitter-Friendly Ballparks”, Great American Ball Park holds the fifth position while Dodger Stadium can be found near the bottom at 28. With the drastic change in scenery for the Wild Horse, Puig’s home run numbers should only go upwards. More importantly, the rotation finally acquired its much needed depth. Wood, Tanner Roark, and Sonny Gray are not premiere pitchers in today’s game, but they all are given a chance to rejuvenate their careers and boost their stock in a smaller, less pressurized market (As a Yankee fan, I am talking to you Sonny). “But Shane, why should I beware of Cincinnati if playoffs aren’t even a possibility this season?” Actually, they are. Last season, the Oakland A’s and Tampa Bay Rays shocked the baseball world by finishing with over 90 wins apiece. 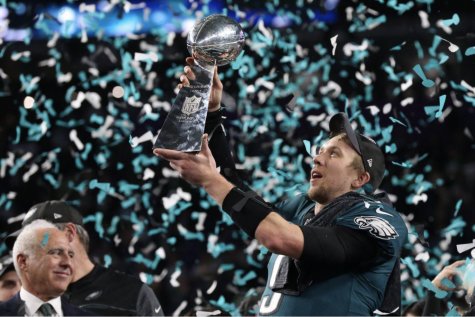 The teams were labeled bottom of the barrel and counted out of almost everyone’s 2018 predictions. Now while the Rays didn’t end up making the playoffs, (they only fell a few games short behind the A’s for the wild card), Kevin Cash did a phenomenal job at developing a ballclub that only had two official starters on their active roster. With a Cy Young award winner in Blake Snell (which I called), amongst a plethora of young talent, Tampa Bay enjoyed a remarkable season. The same can be said about Oakland. Even though they didn’t defeat the Yankees, this was a team that had zero expectations and one of the worst starting pitching staffs in the league. But with one of the best defensive players in third baseman Matt Chapman, and slugger Khris Davis, Oakland has every intention of competing once again. There will be clubs that don’t live up to their hype, and there will be some who exceed expectations that no one saw coming. This year, it’s the Cincinnati Reds. 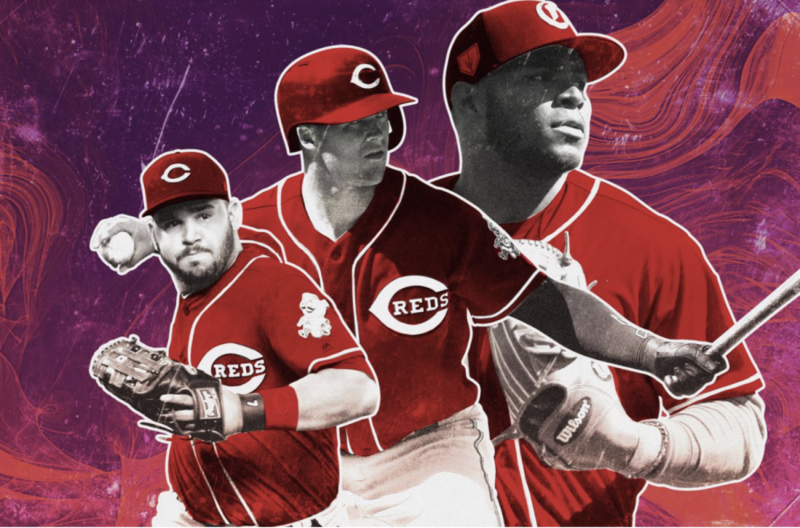 With young prospects Nick Senzel and Hunter Greene on the rise, an outfield loaded with power, and a pitching core that finally has stability, don’t be surprised come October if the MLB playoff picture is painted red.